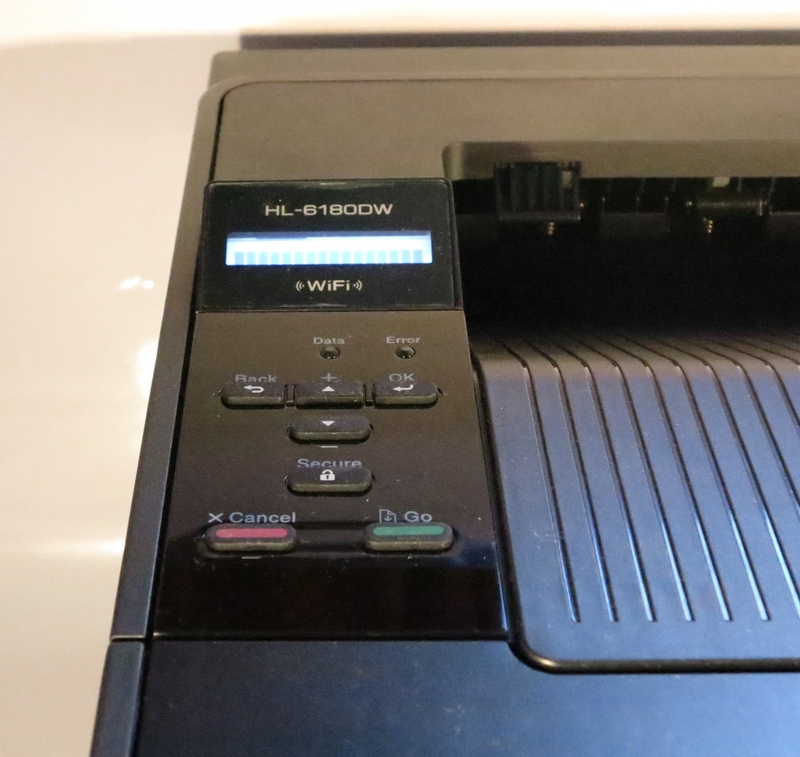 I am reviewing the Brother HL-6180DW monochrome laser printer which is Brother’s latest entry in to the “office workhorse” laser-printer market. The printer that I am reviewing here is the top-of-the-line model which has a page throughput of 48 pages per minute, a high-capacity paper tray and wireless networking. There are cheaper variants that have a lesser-capacity paper tray and work more slowly, with the models in this group having different connectivity options having wireless networking, Ethernet networking only or USB direct-connect only. All of them are driven by the same heavy-duty monochrome laser print engine and can print on both sides of the page. The Brother HL-6180DW is able to connect to a wired Ethernet or 802.11g/n Wi-Fi wireless network. For that matter, it can support Wi-Fi Direct where it effectively becomes its own access point as well as AirPrint driver-free printing for the iOS platform. It still works with Brother’s iPrint&Scan Android app, being able to print Web pages, PDFs and photos from Android or iOS devices. It is also future-proof by being equipped for IPv6 in a dual-stack manner. As a monochrome laser printer, this printer and the rest of the series are pitched as a “heavy-duty” take of the HL-2240D and similar units that I previously reviewed. These used a separately-replaceable toner and drum setup with the toner cartridge being “nested” in the drum unit that is loaded in to the front of the printer. This still has the advantage of the drum unit being separately replaceable which is more relevant to equipment that is expected to do a lot of work. But the difference between these units and the other compact units is that the print engines on these models are optimised for heavy-duty printing. Here, you notice the difference with behaviour like the printer sounding like it is doing a normal print run even when working on both sides of the paper. Something that can confuse some users is the front-door latch being confusingly part of the output retainer tab. This may be of concern when you are setting up the printer and removing all the packaging material or if you have to ask someone who isn’t familiar with the machine to change the toner or rectify a paper jam. But once I opened the machine’s front service door, it didn’t take long to get the printer up and ready for use. The drum unit, with the toner cartridge. dropped in to the slot without any risk of user confusion, The paper was also easy to load up with a drawer that didn’t feel tacky. As is my practice when reviewing printers, I install the latest driver set from the manufacturer’s Web site rather than working from the CD that came with the equipment. This is to be sure I am not running a driver set that has bugs or isn’t tuned for best performance with current needs because of the desire amongst manufacturers to get the product to market very quickly. During the installation phase, the driver software discovered the printer very quickly and was able to have the printer ready to go within a few minutes. Like other driver programs used with Brother printers, it still has the same easy-to-use user interface where there is a list of selected options for the print job. The Brother HL-6180DW laser printer doesn’t take long to start turning out the print jobs. Here, it took only a second from when I clicked the “Print” button on the computer for it to come to life and have the first page of the document coming out of the output bay. There wasn’t any unnecessary curling or buckling with the paper after a print run because the printer’s fuser unit was effectively at temperature when the job came in. Even the auto-duplex cycle was very quick with it taking around three seconds to print both sides of the page. There is a confidential-print mode where you can set up a passcode that you enter in to the printer to claim the print job. But, like the other single-function printers with this feature, it requires the user to enter the passcode using the “pick’n’choose” method with the arrow keys and this can cause users to be impatient with this printer. Like all of the Brother laser printers, the HL-6180DW uses a separately-replaceable toner cartridge and drum unit which slot in to the front of the unit. 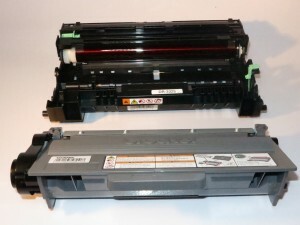 Here, like the compact HL-2240D and others in that series, this unit requires the drum unit to be removed from the printer before you can replace the toner cartridge. But it is still easy to detach and attach the toner cartridge and drum unit by you pressing a distinct green tab to separate these pieces. The auto-duplex function was exact with the registration when printing A4. This would be important for desktop publishing, especially if you want to turn out tent cards, door hangers and the like. When you print colour photos using this printer, the 1200dpi image was brighter than the 600dpi image, thus was also close to what a colour image would look like on those old black-and-white TVs. The printer also turned out some very sharp text from material printed out from the computer. The Brother HL-6180 laser printer was very reliable with turning out a large auto-duplex print job, thus not being prone to jam up. In fact if it runs out of paper, you don’t need to do anything further to get the job going beyond just putting the paper in the drawer. 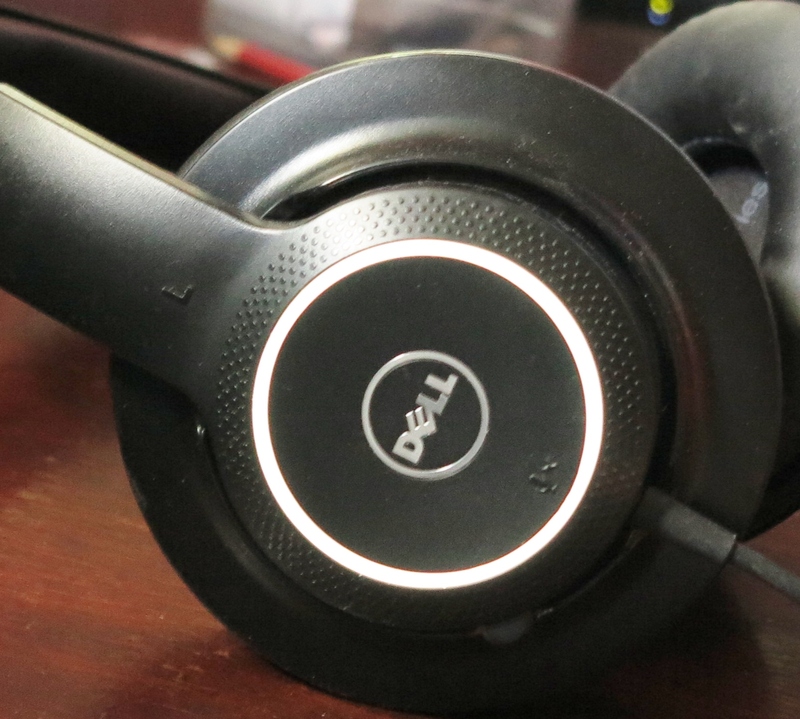 The Brother HL-6180DW and others in this series could benefit from a few useability improvements here. For example, a distinctly-coloured latch release for the front service door could be beneficial here because this is hard to find amongst the document retainer flap on the top of the printer. Here, the confusion can occur if a user had to open up the printer to replace the toner or rectify a paper jam. As well, there is the absence of a “fuel-gauge” on the display to show how much toner is available. Here, this can be useful if you were to determine whether to always run high-capacity cartridges or know if you were to order extra toner after a large print job. Similarly the printer could benefit from a USB port to permit walk-up printing of PDF files or use of a USB keypad to improve the useability of the printer’s “secure print” function. 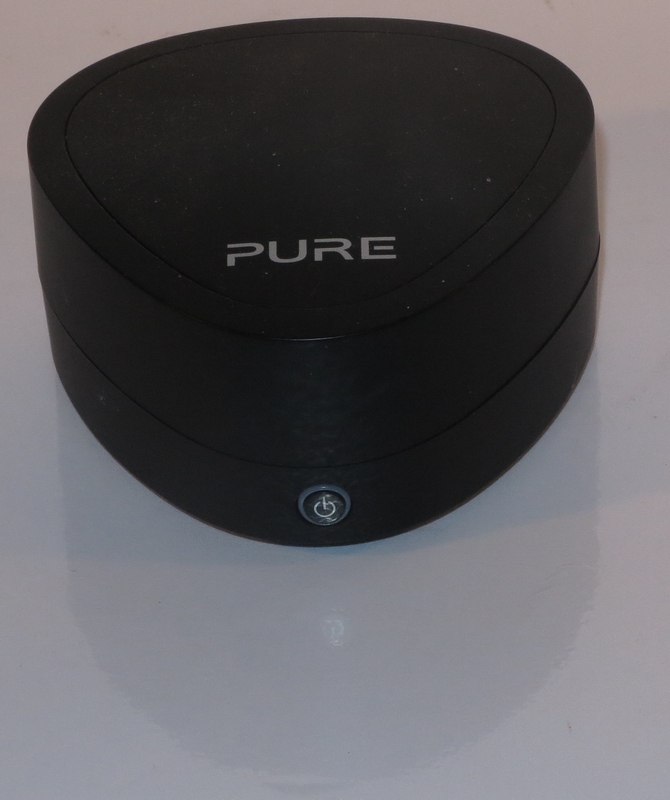 This could be delivered as a product differentiator for the high-end models. As well, the HL-5470DW could be able to work with the extra-high-capacity toner cartridge, which could be handy if you were to avoid having to spend heaps of money on toner. As well, the end-of-job cool-down noise could be reduced by, perhaps, gradually slowing down the fan’s speed through the cooling cycle or running the fan very fast for a few minutes just at the end of a print job. 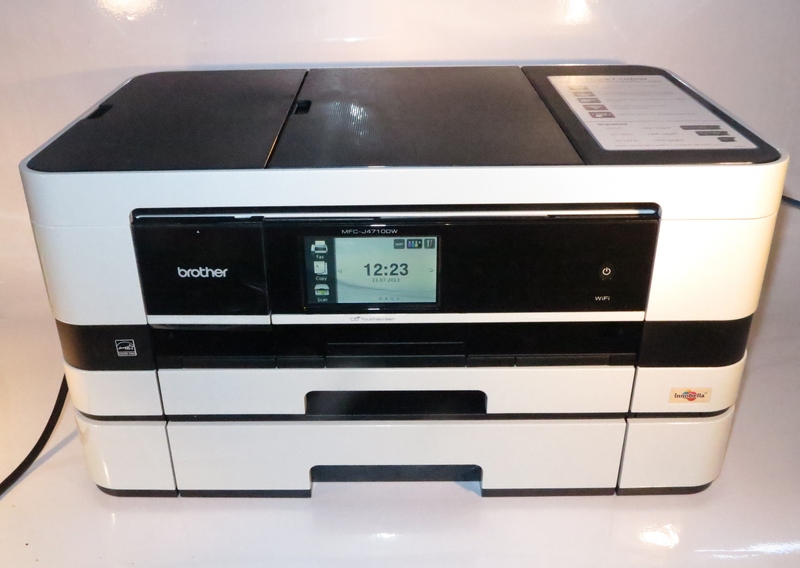 The Brother HL-6180DW laser printer is one I would recommend for use as an office’s main laser printer. This would be very important in paper-intense environments like schools or medical and legal practices or for those of us who are doing plenty of monochrome desktop publishing. If you could afford to, you may be at a point where you can use the high-capacity or extra-high-capacity toner cartridges for most of the machine’s working life and use the standard-capacity toner cartridge as a short-term measure if the organisation was short on cash. 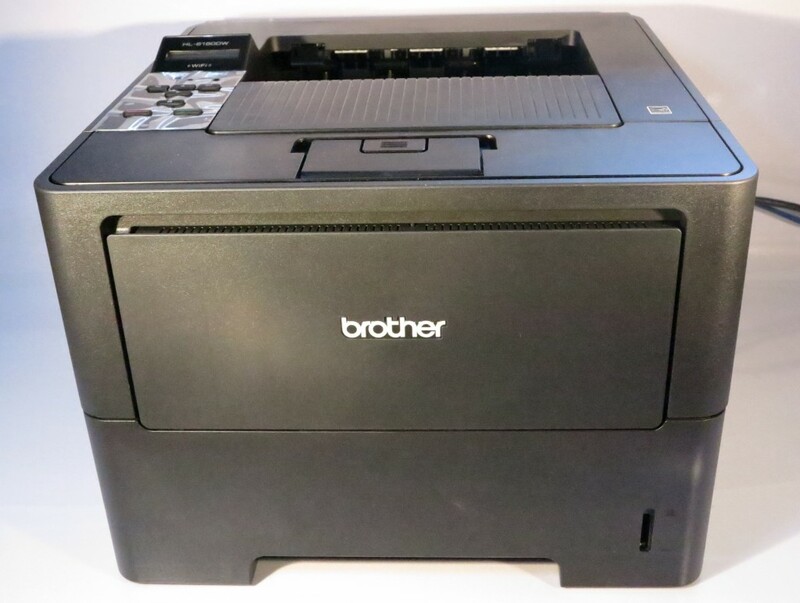 If you want to save money but want a heavy-duty laser printer, I would recommend that you could go for the Brother HL-5470DW if you value Wi-Fi connectivity or the HL-5450DN if you are just connecting to an Ethernet or HomePlug network segment. Here, you don’t have the ability to load up a large quantity of paper or use the extra-capacity toner cartridge. But, as I have said before, I would recommend using the high-capacity toner cartridges due to the low cost-per-page and the long time between replacing them.